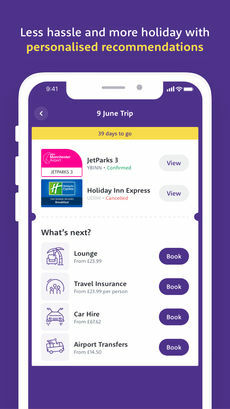 Holiday Extras new mobile app comes packed with personality and money saving extras - all your bookings automagically organised into trips. 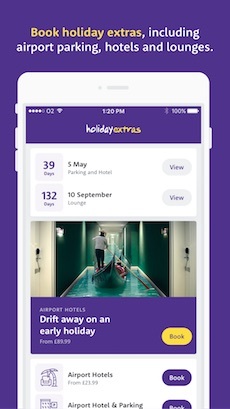 The latest app from Holiday Extras is the result of hours of customer research on our quest to deliver less hassle, more holiday. This is not your standard boring travel app. Find and book great deals on Airport Parking, Airport Hotels, Airport Lounges and more at all UK airports. We are never beaten on price! If you can find the same product cheaper within 24 hours of booking with us, we'll refund you the difference. It's fast. Mega fast. Quick to install taking up the space of roughly two photos on your mobile. Super simple to use. Everything is only 3 taps away, easy-to-use for browsing, making, viewing and amending bookings. We give you everything might need in the palm of your hand; full paperless check-in for airport hotels, parking, lounges and travel insurance. 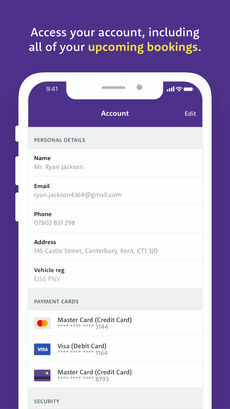 One tap login and one click buying is enabled for all 7m customers with a Holiday Extras account. Customers without an account will be invited to sign up when they book. 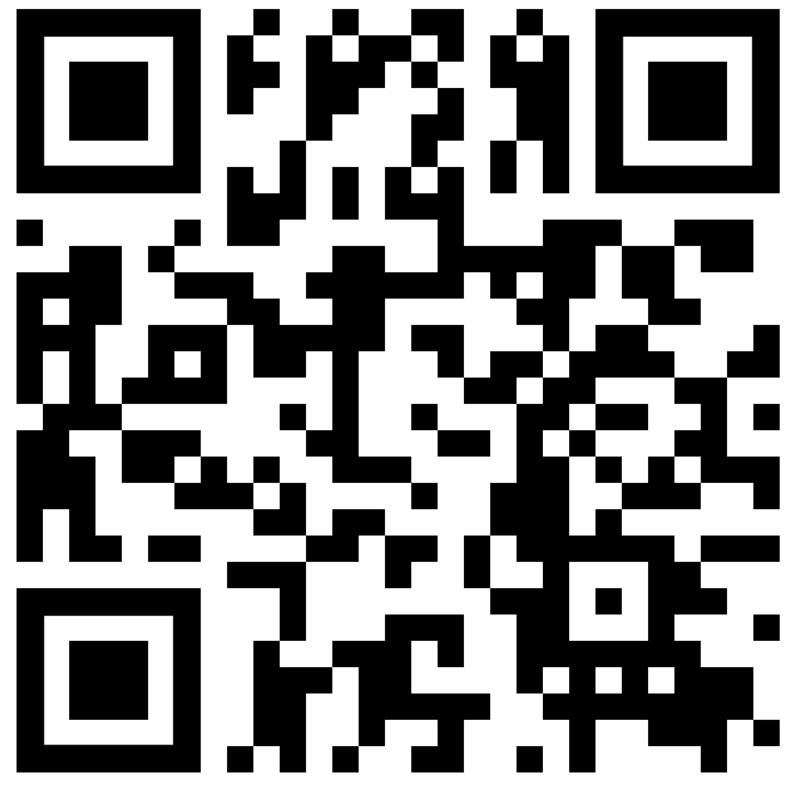 Access to all your bookings in one place regardless of how they were made, via contact centre, web or app. 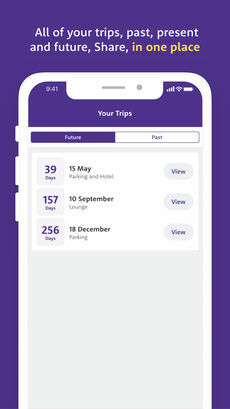 Intelligent recommendations are made based on length of trip, destination, journey time to airport and who's travelling. Matthew Pack, our Chief Executive says, "I'm really proud of this one. We're on a mission to reinvent holiday making and this is very much the start of doing things differently. I can't wait to see the response from our 600k users. How many apps explode with confetti when you make a booking! It's fun but also very very practical with every booking you've ever made a couple of taps away, even when you're offline." Holiday Extras is the UK's market leader for travel extras. We help over seven million travellers every year to have less hassle and more holiday. Our award-winning call centre is based in Kent and is open 7 days a week full of agents ready to take your calls when you need support.